We feel that Laura’s warm, open-minded and down-to-earth style is one reason that clients are drawn to her, and one of many reasons why they stay. She runs a tight ship – no loose threads running amok here – but it’s her absolute dedication to her craft and, by extension, to the livelihood of her clients, that inspires this loyalty. Her progressive and strong work ethic was instilled at a young age, along with a sense of money. As the second oldest of nine on a dairy farm in Wisconsin, Laura got to see the business side as much as she did the day-to-day working side, thanks to her diligent and creative parents. Instead of receiving an hourly wage, she got to pick a calf and purchase it with an interest-accruing note. Every month as the milk was produced, she had to figure out the expenses and revenue, make a payment on the note and reinvest the profit. It’s not hard to see where her pragmatic and thoughtful approach to financial planning began. Laura initially planned on going to law school, but after receiving her Bachelor’s in Economics with highest academic honors, she decided she was tired of tests. Instead, she moved to Minnesota and entered the workforce during the difficult national recession of 1981. She spent three years working for a local hospital, working her way up from a temporary secretary to a management engineer, when an article in Forbes magazine changed everything. It told of a new profession called financial planning, which combined the technical aspects of money management with the overlay of personal connections. Laura knew immediately it was what she wanted to do. She began working as a financial advisor for a large firm, but quickly realized it was just sales by another name, rife with conflicts of interest. After heading back to school to obtain a CPA and a Master’s in Taxation, Laura worked first with Fortune 500 executives, then with multi-millionaire business owners. She loved providing sophisticated planning advice and climbed the ranks from analyst to manager to director. When that job was eliminated years later, it served as the final push for her to start her own firm. She always felt that’s where she’d end up, anyway. That was 1998. By then the market for financial planners had matured; the job had become more of a profession. Laura was ready to take a chance that people would be willing to pay for objective advice – someone free of proprietary products who could take a look at the complete financial picture and fit the right tools with the right job. That risk paid off. And her goals today are the same as they were then: to help people build and maintain financial independence in a way that promoted honor and decency – the Laurel Wealth Planning way. When it comes to financial planning and wealth management, Laura has always been as strategic as she is human. It stems from the day when, as a child, she stood in the corner store with two nickels in her hand, analyzing the candy choices before her. Stuck between two worthy options, she had to decide which would be the better investment. After all, Pixy Stix might be more interesting, but the Tootsie Pop… well, that had staying power. Of the many accolades Laura has earned over the years, none pleases her more than being invited by her peers in law and accounting to address them on the complex issues of financial planning and wealth management. Laura has been asked to speak multiple times including at the Family Law Institute, and at the Minnesota Society of CPAs’ Estate Planning Conference. 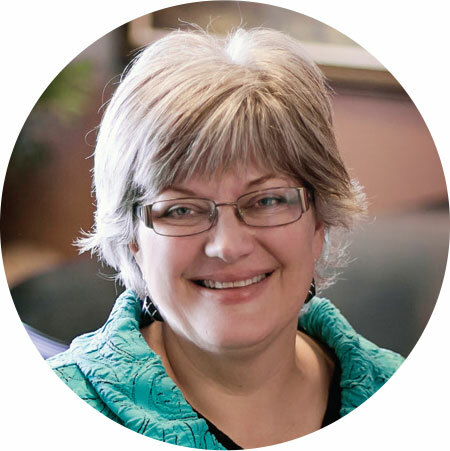 In addition to being a frequent teacher within her own profession, she has also taught at Ruth L. Hayden & Associates’ very popular “Women and Money” classes and been quoted in the StarTribune, the Minnesota Women’s Press and Forbes. There is more about Laura's teaching and publishing here. Laura was been recognized as a “Five Star Wealth Manager” for multiple years. Five Star Professional conducts market research to define and promote professional excellence. To see more about this process click here. Laura has been invited to the Barron’s Top Independent Women’s Advisor Summit for multiple years. This invitation-only conference gathers advisors to discuss perspectives on managing investments and serving clients. To find out more, click here. Laura is a board member at NPH USA, an organization that supports orphaned and abandoned children in Central and South America. CPA education and training is one the strongest financial backgrounds available in the financial planning field requiring challenging college level coursework, a rigorous examination, and work experience. As importantly, it emphasizes an ethical grounding in objective, client-centered advice. Few financial advisors have obtained advanced training in tax planning. This education helps Laura and her team identify tax reduction opportunities for clients. This background, unusual for financial advisors, helps Laura and her team identify investment trends and opportunities for clients. The PFS credential is recognized by the Certified Financial Planner (CFP) Board of Standards as one of the few credentials that qualify financial planners. It is granted only to CPAs who demonstrate specialized financial planning expertise through their work experience and who pass a comprehensive and rigorous personal financial planning examination. Importantly, the PFS credential binds the financial planner to the high ethical standards of the American Institute of Certified Public Accountants Code of Ethics.